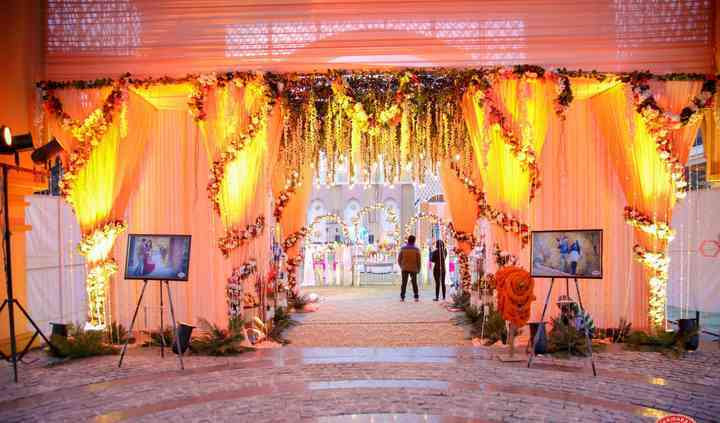 The Mallu Farms is a farmhouse located in Satbari, South Delhi and offers wonderful event space for your big event. 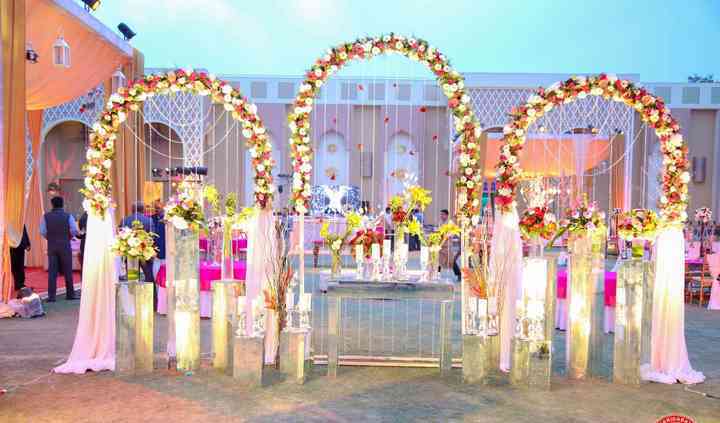 Choosing the right venue is the key to organise a perfect wedding and it is one of the tremendous tasks to do. This farmhouse is a place which features luxurious interiors, green surroundings, and excellent planning solutions. If you are looking for an exemplary venue to host any of your nuptial ceremonies then this is the one-stop destination for you. Offering personalised services is the forte of The Mallu Farms. It aims to bring you world class facilities with an impressive organisation to make your dream event an exquisite reality. 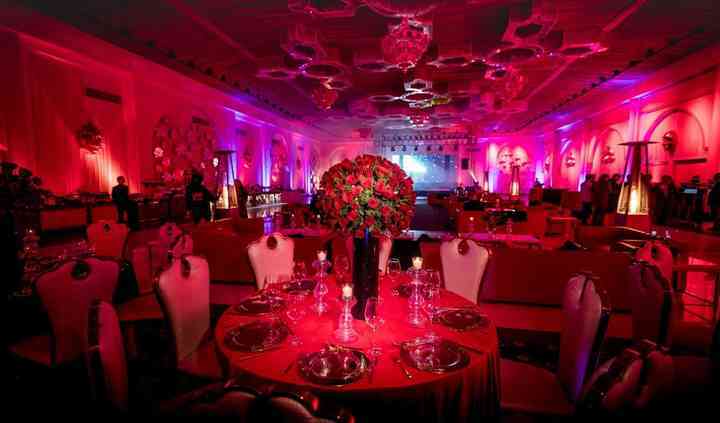 If you are looking for an expansive space to conduct your event, The Mallu Farms is a great choice. 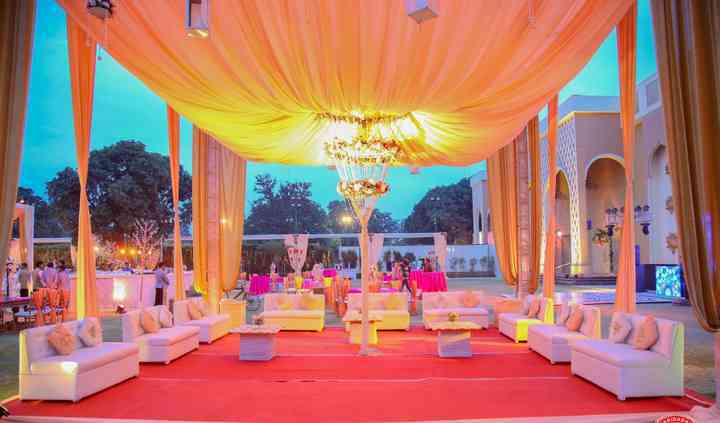 Spread across five acres, this venue is all about providing the location you need for any type of occasion, be it a pre-wedding, wedding or a post-wedding function. The venue can easily accommodate 150 to 3000 guests so that you can celebrate the auspicious occasion with all your friends and family members. It also has ample parking space with valet service. Apart from this, they also provide furniture, basic lighting, electricity, and backup for your convenience. The Mallu Farms offers the latest modern facilities combining friendly and efficient services. To create a great wedding feast matching your expectations and lifestyle, they provide services like multi-event space, bridal room, service staff, in-house catering, multiple cuisine menus and in-house decor for the venue. Their staff will ensure to let you enjoy the nuptial ceremonies without any hassle by taking care of all the arrangements for you and will deliver maximum customer satisfaction by making your wedding even more special.